If you also need to edit your videos with Windows Media Player like Jackie, you've came to the right place. Even though Windows Media Player itself doesn't come with any editing feature, you'll be able to edit videos in Windows Media Player at ease with a smart plug-in called SolveigMM WMP Trimmer Plugin. Please refer to here for more information. Actually, you don't have to use Windows Media Play, the Windows Movie Maker is a free and easy video editing software for windows, it provides you with basic video editing features like trimming, rotating, cropping, etc. Although it has been discontinued by Microsoft, you can still download it from third party platforms. Check this guide to know how to edit videos in Windows Movie Maker. If you are running Windows 10, you can also create and edit videos with the built-in Photos app. Check this guide to learn the detailed information about How to Create and Edit videos in Windows10 with Photos app. No matter which Windows system you are running, you can also find one of the best Free Video Editing Software for Windows here. If you don't want to install any plug-in for your Windows Media Player but looking around for a powerful movie editor for your Windows computer, here recommend you another powerful movie editors, Wondershare Filmora9. 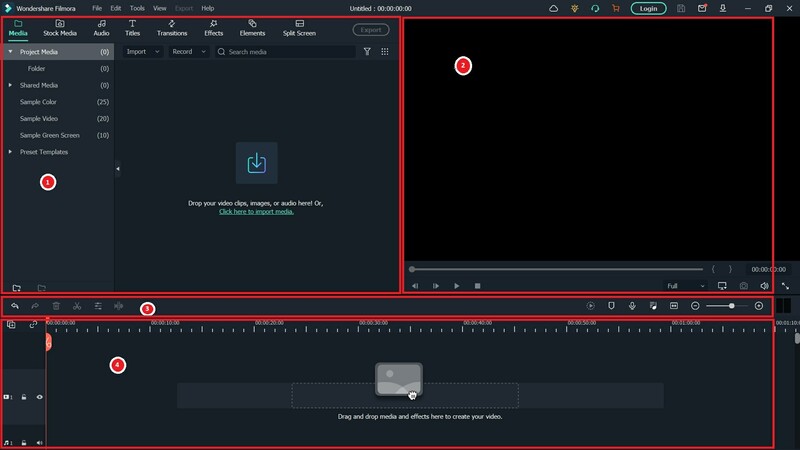 Learn the detailed information about How to Edit Videos with Filmora9 on Windows. Fine-tune options to enhance your videos in clicks. Include common editing tools like Rotate, Split, Crop, Merge Pan/zoom and etc. Make a Picture-in-Picture video quickly and easily. Control the speed of video and audio. Change the voice for fun. Add animated titles with built-in text effects. Share output onto YouTube or convert to your favorite formats and devices. Burn the output onto a DVD disc, folder or as an ISO image file. SolveigMM WMP Trimmer Plugin is the plug-in tool that enables you to save a favorite movie fragment, music part or edit out unnecessary scenes that's loaded onto Windows Media Player. With it, you can get rid of unwanted part from your webinars, remove ads from TV shows, create ringtones for your iPhone and etc. It also supports the AVI, WMV, ASF, WAV, WMA, MP3, MPEG-2, MPEG-1 and etc. Download SolveigMM WMP Trimmer and install the plug-in on your system. Click main menu item Tools>Plug-ins>SolveigMM WMP Trimmer Plugin. This will enable the plug-in for Windows Media Player. Play the file you want to edit and move the blue slider to the section of the movie you want to save, hit on the Start button. If you want to change the start time, you can manually type in time value into Start box. When it comes to the setting a stop time, click the End button. Press the In button to trim the selected interval or Out to cut the interval out of the source media file. Afterwards, you can rename a the edited movie file and save it. 1. The trimming process will be accompanied with a progress bar and can be cancelled anytime. When the trimming process is done, you'll get a pop-up window that will direct you to the output folder where the edited files have been saved. 2. This plug-in for Windows Media Player only provides trim function. If you want to crop the black bars, rotate 90 degrees to make it normal or apply transitions between different video clips or etc; please check out the other solution in Windows Movie Maker.